Where does all your tax money go? With the Budget just one day away, we take a look at where your tax money is currently being spent. THE BUDGET IS now just one sleep away…and tax cuts look set to be on the agenda. The Health Minister Leo Varadkar let it slip last month that it would mean an “extra fiver or tenner” in your weekly pay packet. So with all this talk of tax cuts and how the government is going to do it - we’re taking a look at exactly how much you’re paying right now and where it’s going. 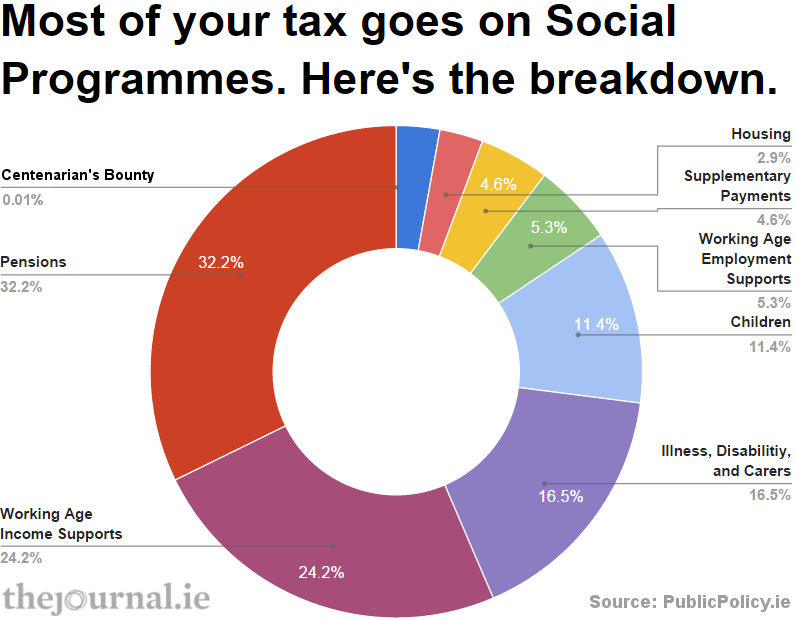 PublicPolicy.ie gives the tax calculation based on a single PAYE worker in the private sector. It uses data from the Revised Estimates, which is the most up-to-date source of Departmental spending. A global survey of 214 countries found that Ireland has the 7th highest minimum wage pay at just over €18,000 per annum. The average industrial wage is €36,000. 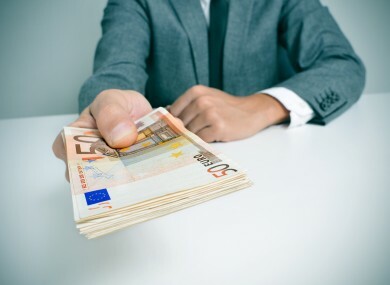 There’s talk that the government could increase the income tax band by €1,000 so that workers begin to pay the 52% rate on income over €33,800 and not €32,800 as they currently do. So that’s how much you’re paying now and tomorrow will reveal exactly where the tax cuts will be made, how much they will be and who’s going to benefit the most. Email “Where does all your tax money go?”. Feedback on “Where does all your tax money go?”.